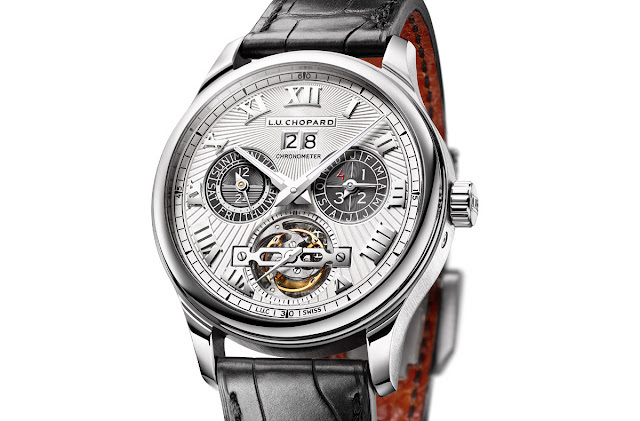 Chopard announced that one of its most prestigious timepiece, the L.U.C Perpetual T, will now be available also in a prestigious 25-piece limited edition housed in a 43 mm x 14.90 mm platinum case. 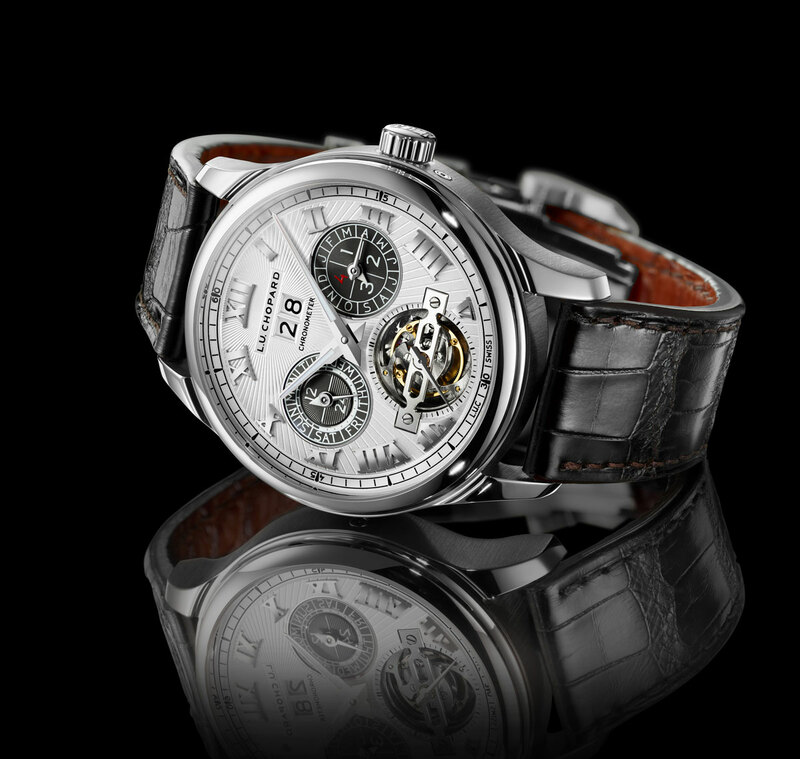 This model combines two of the most prestigious combinations in watchmaking, the perpetual calendar and the tourbillon. Together with the ease of use, the other top priority for a perpetual calendar is optimal readability and the L.U.C Perpetual T achieves an excellent result. The date is brought to the foreground in the shape of a large twin-aperture date display. At 9 o’clock, the day of the week takes precedence over a day/night indication; while the months share the 3 o’clock space with the leap-year cycle. User-friendliness extends beyond readability. 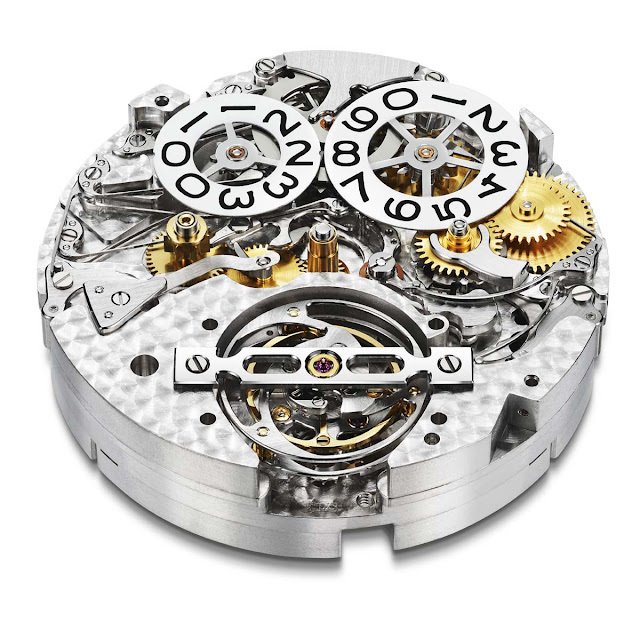 In fact, the four barrels of the innovative Quattro system allow the Perpetual T to guarantee a nine-day power reserve. Thanks to this exceptional feat, Chopard designers considered that there was no need to overload the dial and moved the power-reserve indicator on the reverse side of the watch, visible through the transparent sapphire crystal case-back. The tourbillon - a symbol of the highest precision in watchmaking - is positioned at 6 o’clock, topped by a meticulously polished steel bridge. 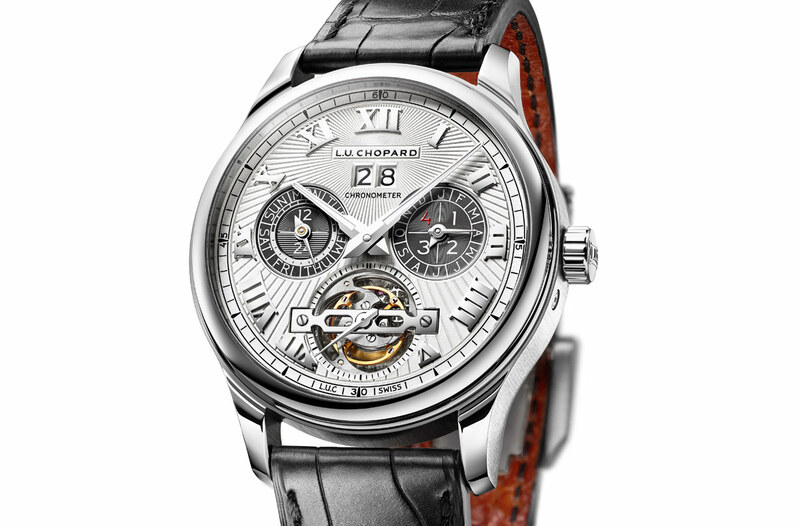 The solid gold dial of the L.U.C Perpetual T is decorated with a hand-engraved guilloché motif radiating from the large date and crossing through the applied Roman numerals marking the hours. The slate grey counters of the perpetual calendar are also guilloché-worked to better highlight the various functions. 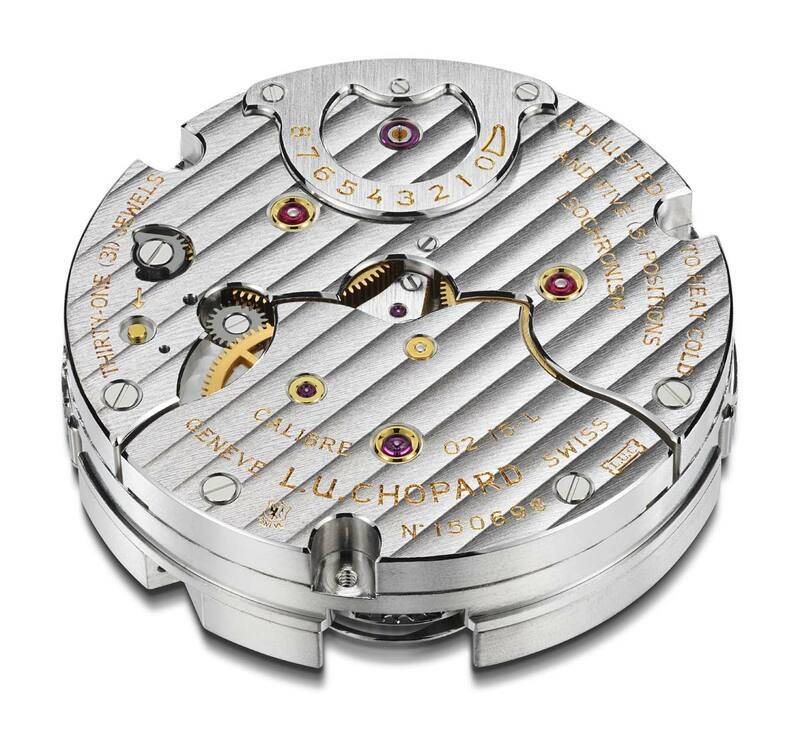 The 4 Hz (28,800 vph) L.U.C Calibre 02.15-L has been hand-decorated in line with the highest Haute Horlogerie standards with circular-grained plates, polished screws, bevelled bridges adorned with vertical Côtes de Genève, and jewels set into gold chatons. 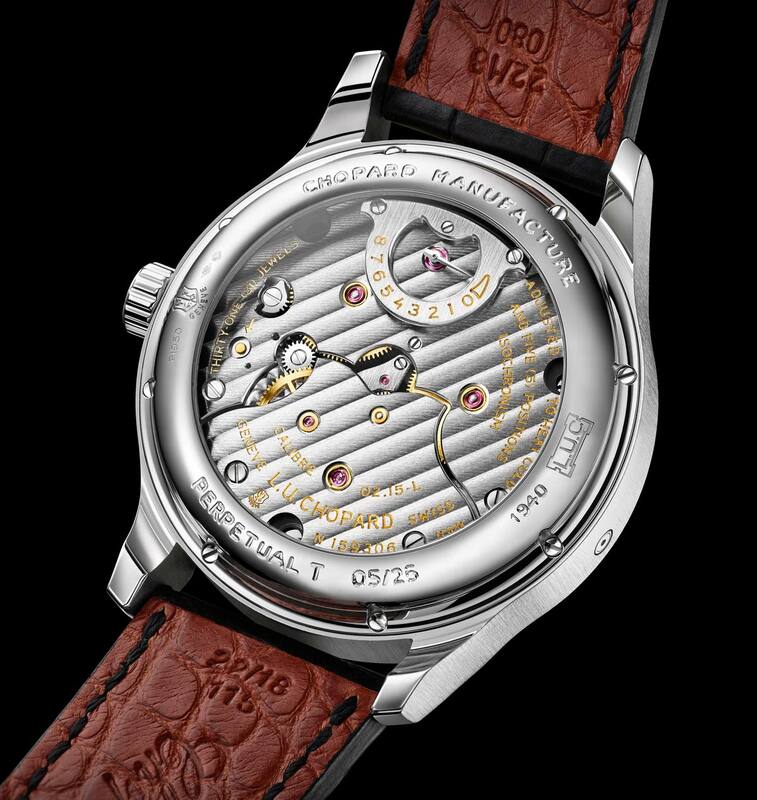 The overall quality of the L.U.C Perpetual T is guaranteed by the Poinçon de Genève quality hallmark, one of the most prestigious Swiss watch industry certifications. Each L.U.C Perpetual T must also pass the trials conducted by the Swiss Official Chronometer Testing Institute. The COSC tests the rating precision and issues its timekeeping certificate only for watches that meet its established tolerances. 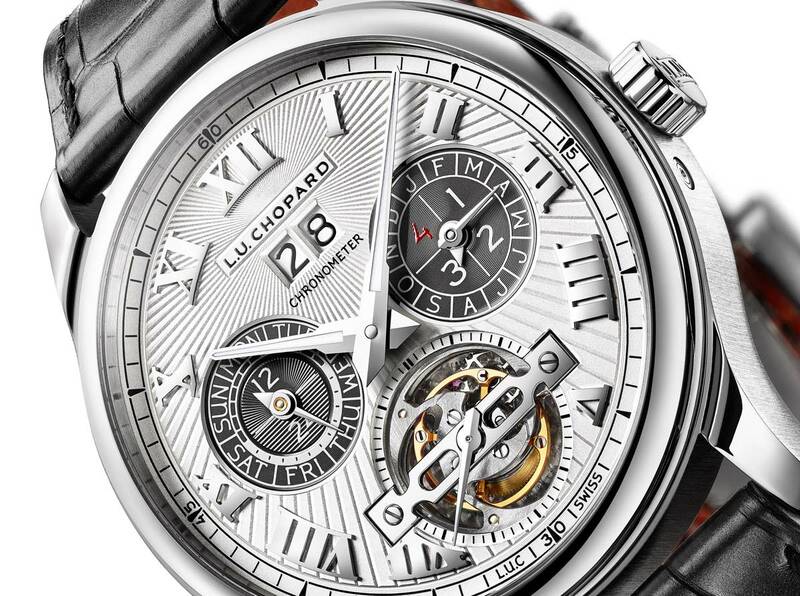 Chopard L.U.C Perpetual T Platinum. Chopard announced that one of its most prestigious timepiece, the L.U.C Perpetual T, will now be available also in a prestigious 25-piece limited edition housed in a 43 mm x 14.90 mm platinum case. The Chopard L.U.C Perpetual T (ref. 161940-9001) has a price of around Euro 175,000 / US$ 190.000.